Goodbye Honolulu partied like rock stars in the clip for "Mother to a Brother" earlier this year, and now the Toronto-based four-piece are ready to unveil a full EP's worth of rock'n'roll jams. No Honey features the aforementioned ode to vintage musical stylings, as well as four other new cuts. It kicks off with the thumping bass line of "Back to Me," before showing off their punk-tinged garage rock aesthetic on "Where You Wanna Go" and "Bloody Hands." It all wraps up with "Typical" — though their blend of grungy noise, riffs and melodies is anything but. The band started working on the EP back in early 2016, recording on off hours at their "dear friend, super producer and ultimate vibes creator" Mike Turner's studio. "The name comes from not having that good stuff in your life, but acknowledging it and working towards it," the band tell Exclaim! "It's about the struggle to get where you want to be, and the positivity in that." 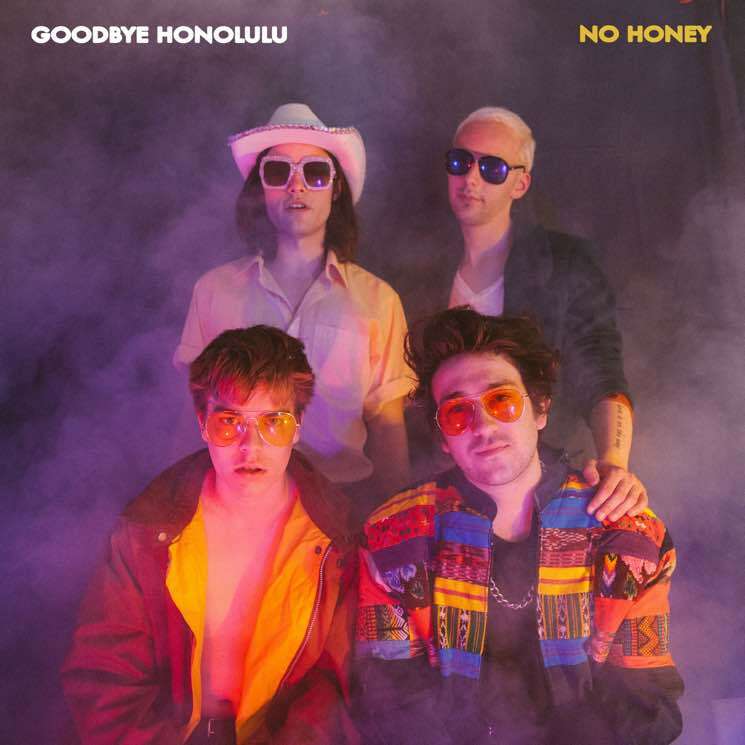 Let the good vibes wash over you by giving No Honey an advance listen down below. It's officially out via the band's own Fried Records on September 1, and you can find their upcoming shows listed below, as well.